40 Forever: Do you know Greenland? Washington, D.C: National Geographic Society. June 2010, Vol. 217, No. 6. *Greenland wasn’t as cold in the Middle Ages. 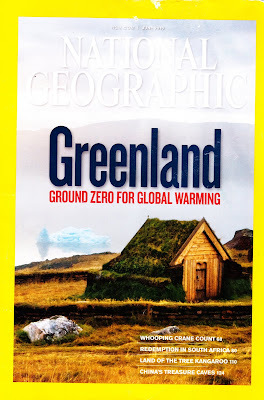 *Many Greenlanders are excited about global warming. *Erik the Red landed upon Greenland while he was on the lam for killing a man in Iceland. *The term lam comes from the Old Norse word lemja. *In the 1950’s and 1960’s the Danish government built ugly apartment buildings in the capital of Greenland and tried to force people from faraway villages to live in them. *In 2009 a new charter went into effect that gives Greenland more independence from Denmark. *The name of the Greenland national anthem is Nunarput Utoqqarsuanngoravit. To learn more about this rapidly changing country, visit the official tourism site greenland.com. Huntington, NY: Cooking Vinyl, 2006. Sound recording. ps. 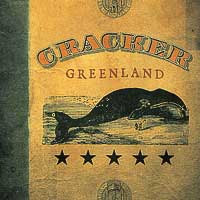 Greenland is the name of one of my favorite Cracker albums. Check out this video. pps. Does anyone know how Cracker decided upon the title? Smiley, Jane. The Greenlanders: A Novel. New York: Anchor Books, 1988. Print. Jane Smiley wrote an epic novel entitled Greenlanders. Although I really like Smiley’s writing (she won the Pulitzer prize for the best seller, A Thousand Acres), I probably won’t read Greenlanders because I don’t like historical fiction.